The McHale 991L range of linkage round bale wrappers is the first choice for farmers and contractors who are interested in wrapping bales at the storage site. The 991L range of linkage round bale wrappers offers the perfect blend of tried and tested technology with solid construction and dependable performance. Like all McHale round bale wrappers, the high output 991L range of linkage round bale wrappers will give you a tightly wrapped bale that increases feed quality and contains the natural juices for greater nutritional value while giving increased environmental protection. 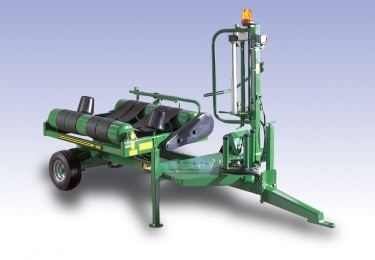 The 991TBER is a trailed version of the 991LBER round bale wrapper, it gives an operator the flexibility of being able to mount a hydraulic power pack on the front of the machine for transportation and operation. The 991TBER also features a trailed drawbar and transportation wheels. The 991TBER linkage round bale wrapper is an advanced remote controlled bale wrapper, which can be operated from the loading tractor by remote control allowing for one man operation of the loading, wrapping and stacking functions.